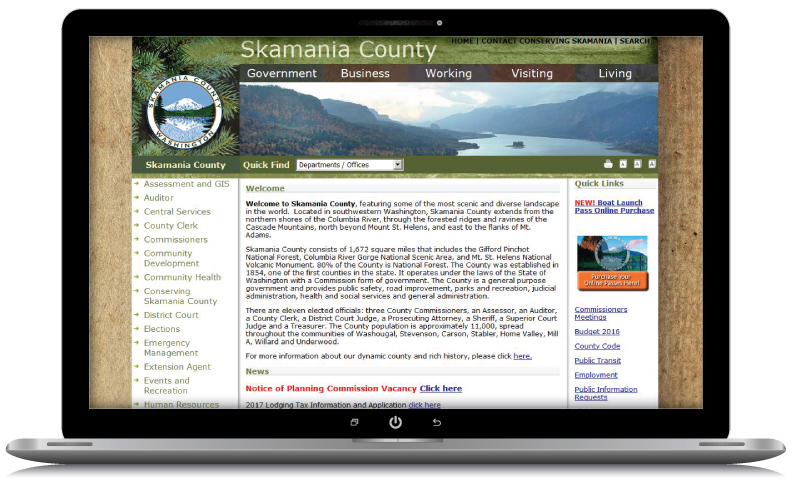 Skamania County provides public safety, road improvement, parks and recreation, judicial administration, health and social services and general administration for its residents and visitors. WebRock developed a multi-level site, allowing the County’s many offices and departments to be branded cohesively. Each office and department has their own section of the overall site, which can be managed and maintained separately from the others. The site also provides general County information for residents and visitors. The site also includes an ecommerce system to allow for online permit purchases.